The Model 2017AM is an async device that operates bi-directionally in full- or half-duplex modes.The Model 2017AM occupies one slot of the 1000R/16 front-load rack. 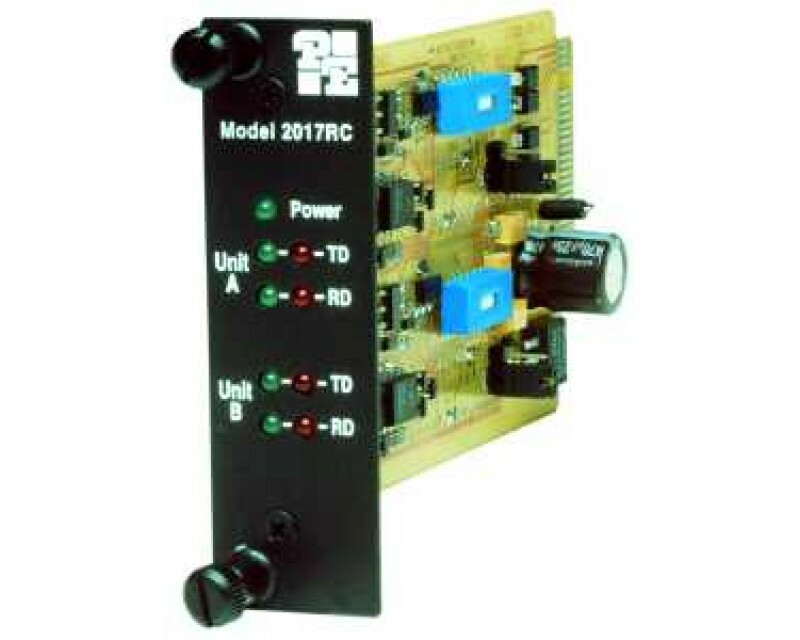 It has dual independent converters that enable two async DTE RS-232 devices to communicate with two 20-mA current loop devices over two twisted pairs. It can be configured for active or passive transmitters.